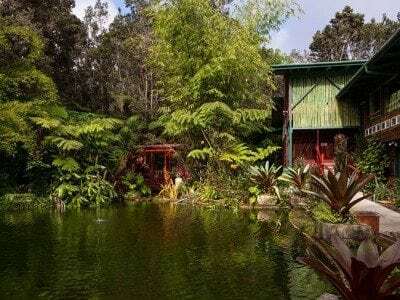 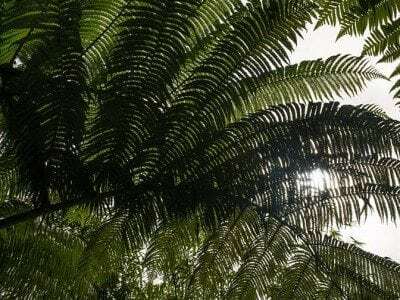 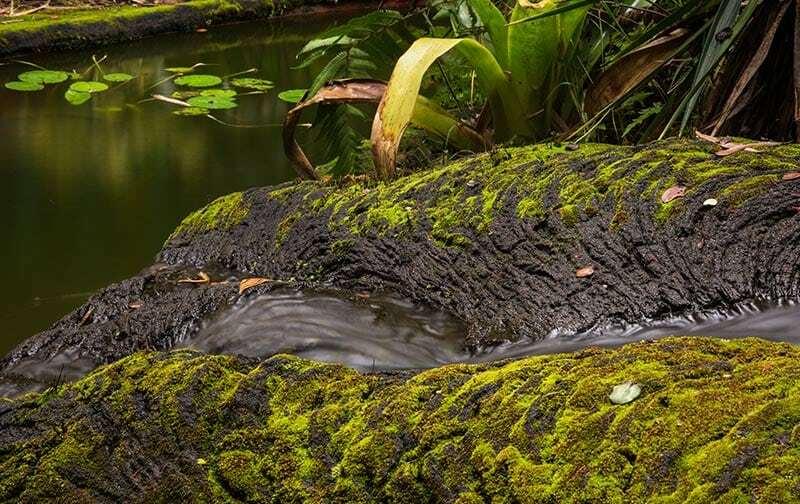 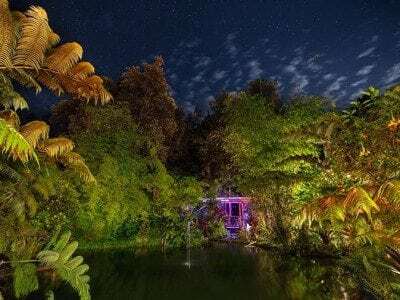 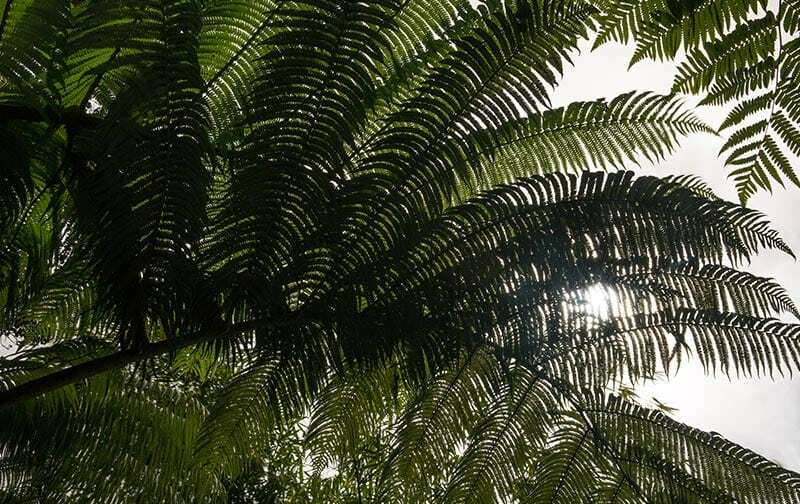 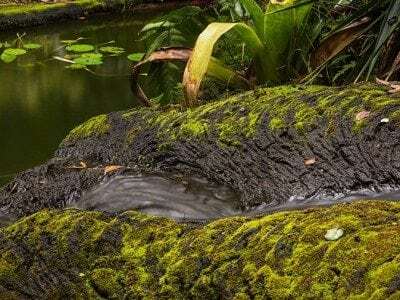 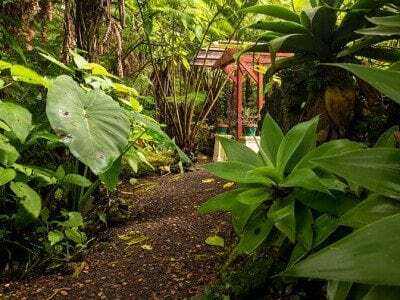 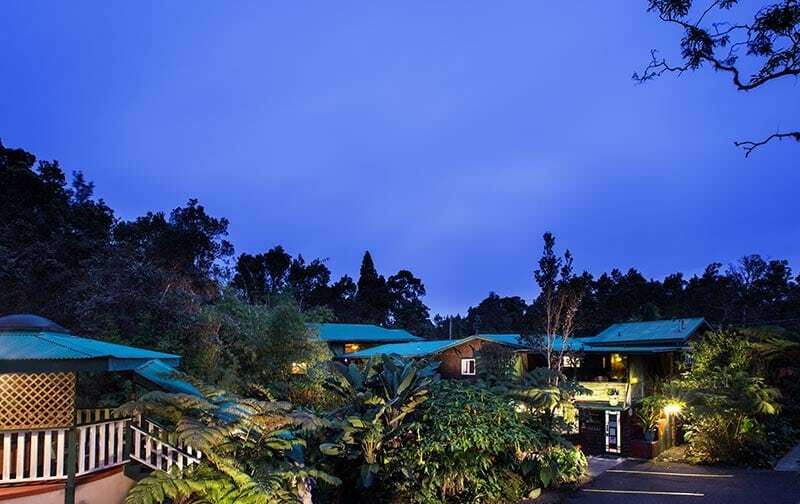 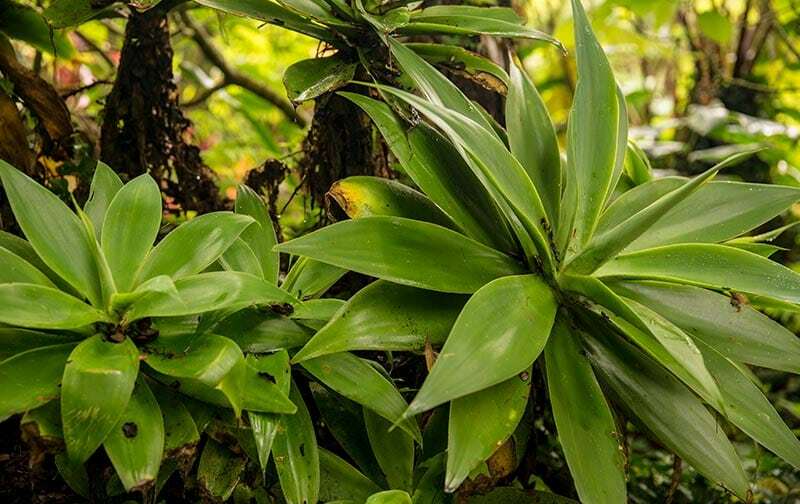 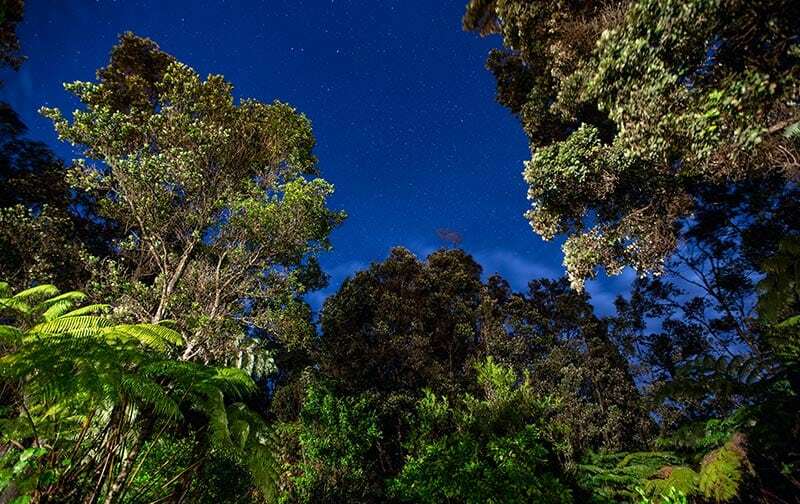 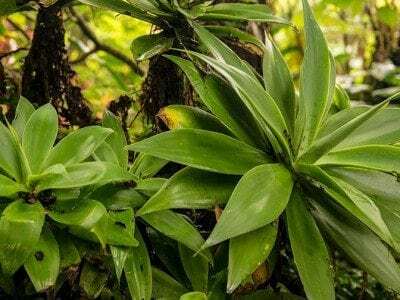 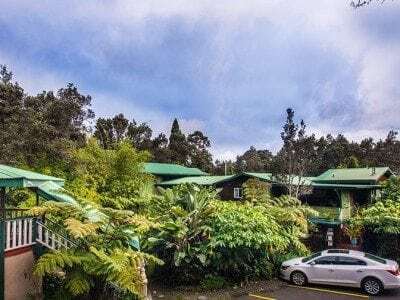 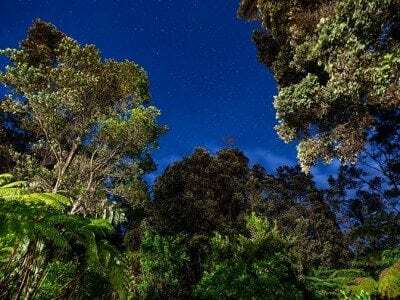 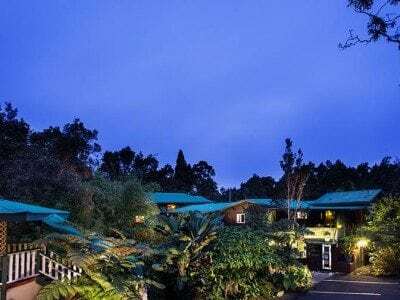 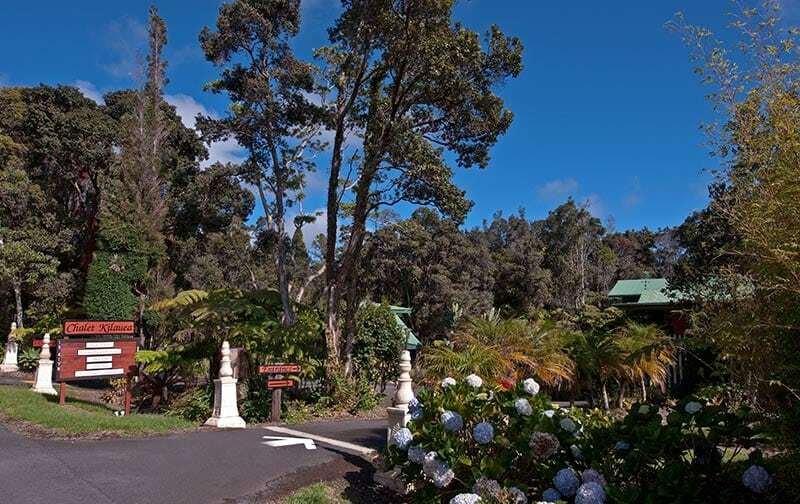 Vacation in luxury nestled in the beauty of a pristine rainforest at Chalet Kilauea, not an ordinary hotel in any way. 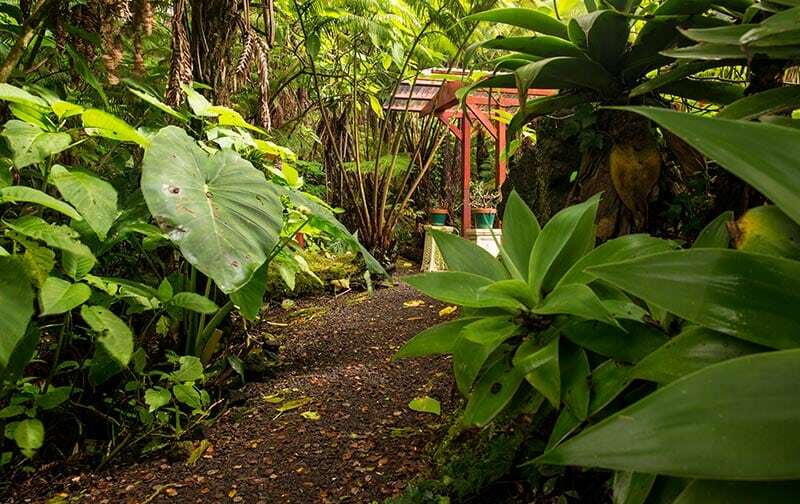 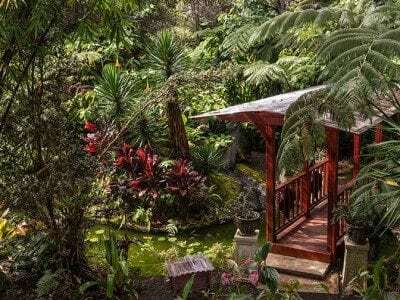 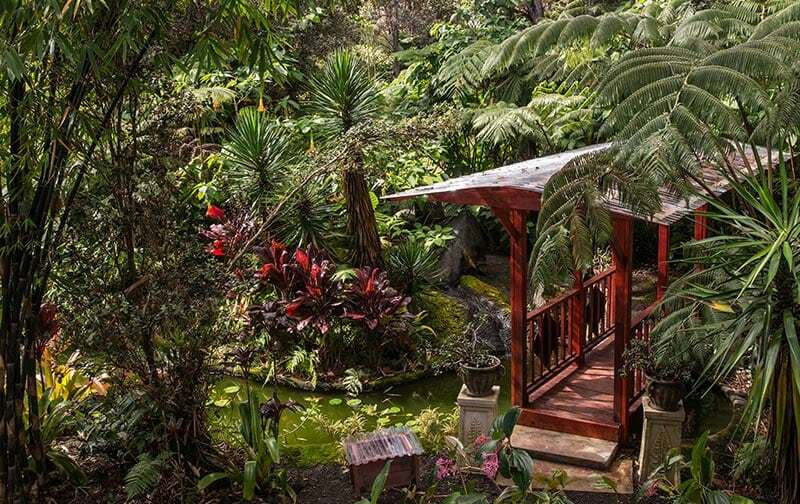 Chalet Kilauea’s upscale rooms are designed in complete harmony with the surrounding rainforest. 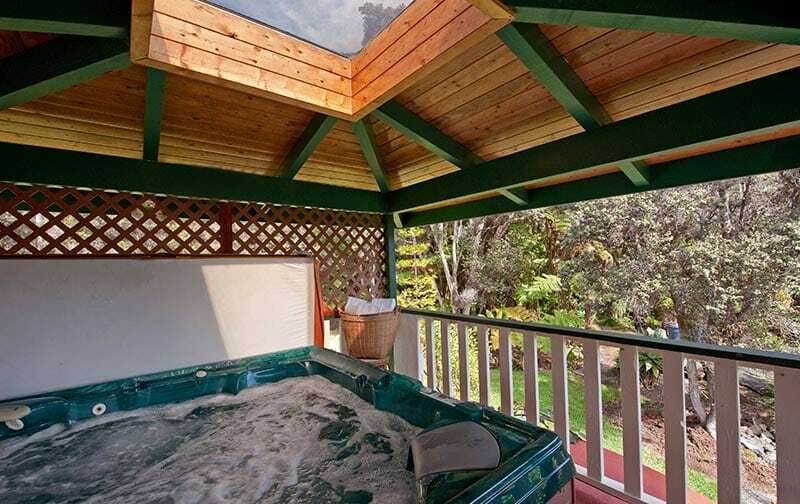 Each deluxe room features private bath, daily housekeeping, and wireless internet. 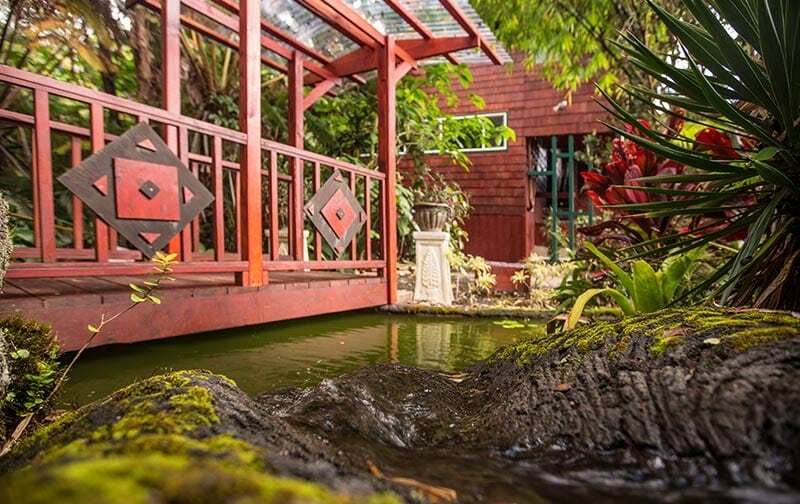 The property’s amenities include a garden gazebo, koi pond. 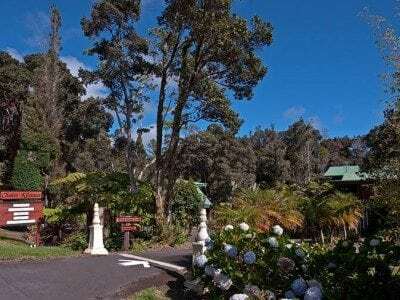 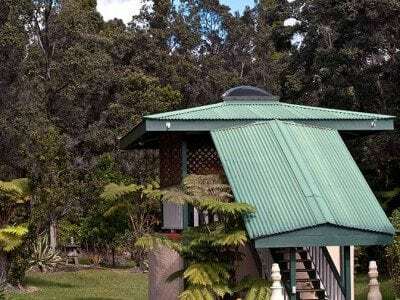 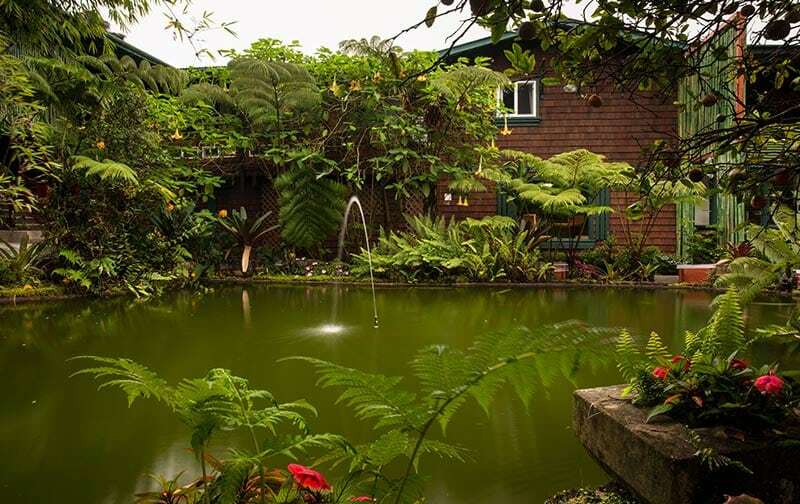 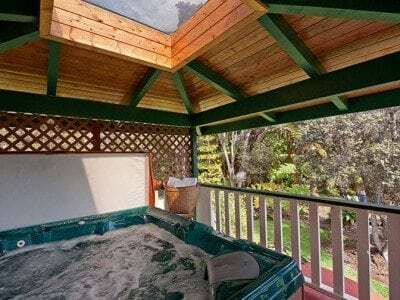 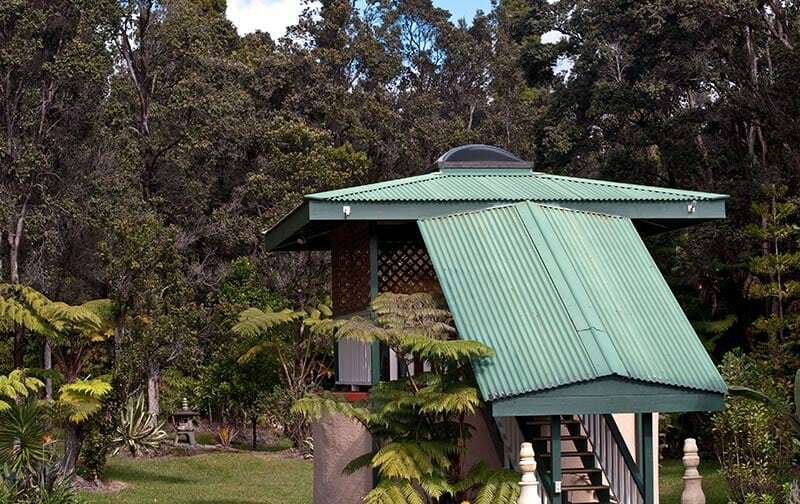 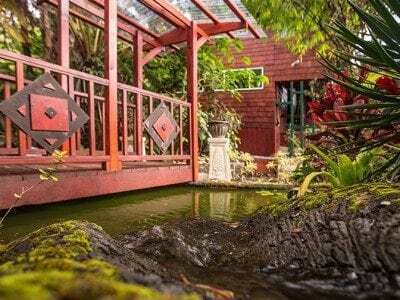 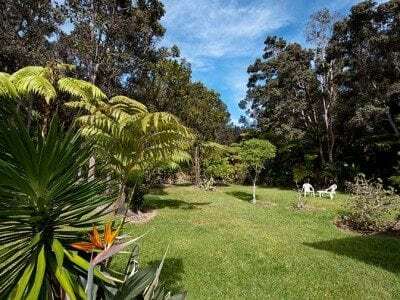 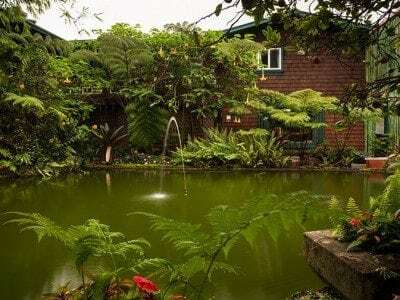 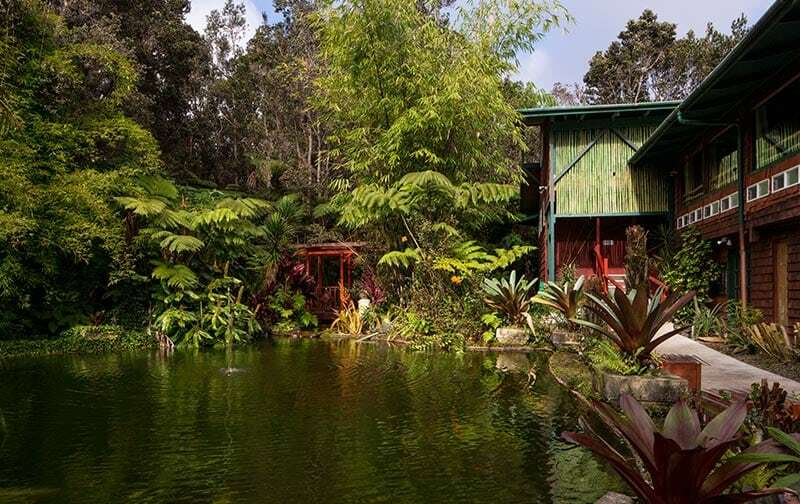 Chalet Kilauea’s highly rated lodging is near Volcano Village and only 5 minutes to Hawaii Volcanoes National Park. 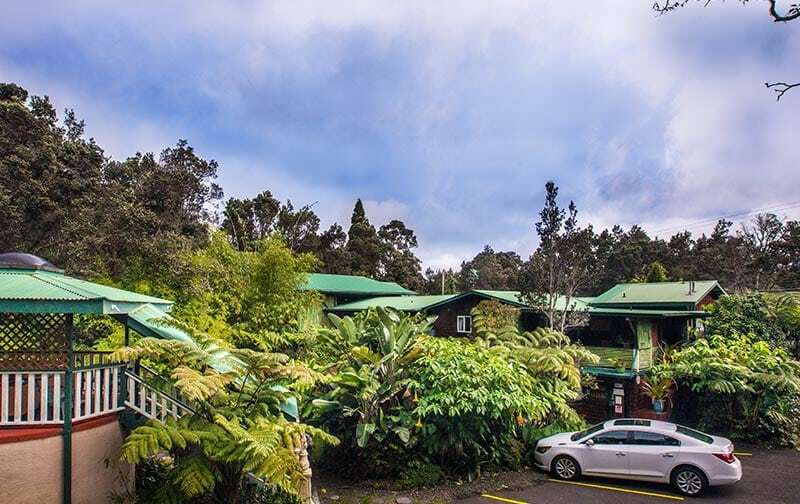 Should you need assistance during your stay, our main office is only a few steps away. 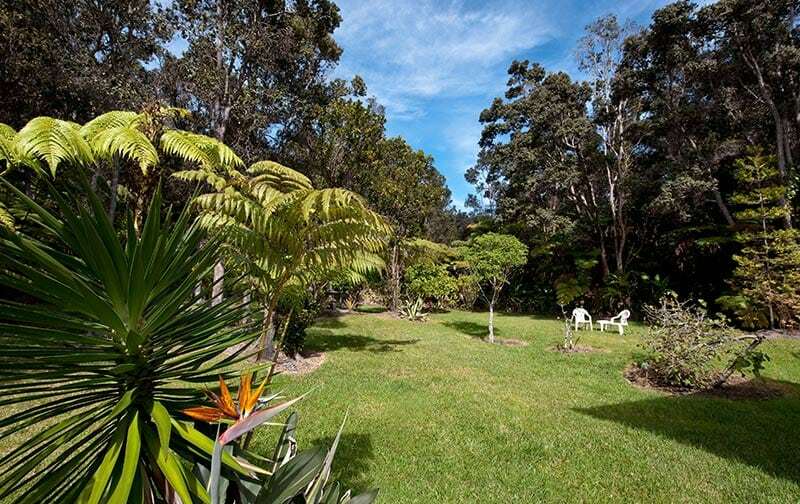 Our Activities page will help you plan your stay. 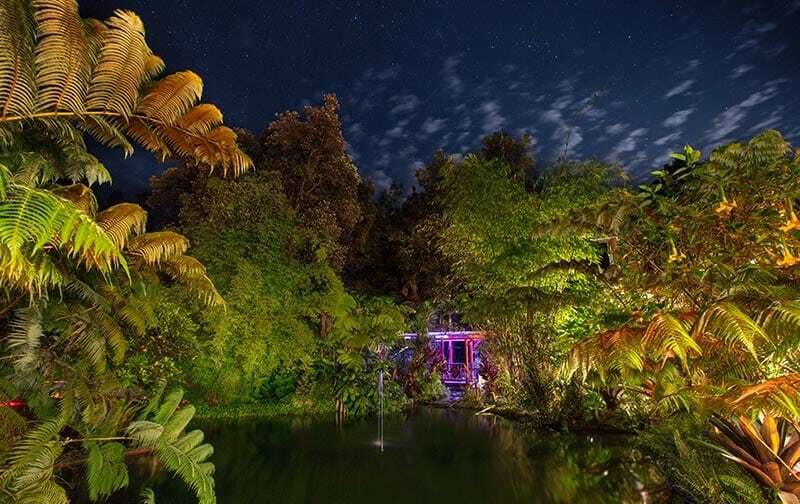 Insider tip – everyone wishes for an extra night.